Dove award-nominated singer Jonathan McReynolds recently opened up about the pressure of fame and how it differs for gospel artists compared with that of secular artists. Hot off of his impressive performance at the 30th annual Stellar Awards earlier this month, the 25-year-old Chicago native is reeling in the success of his brand new track "Pressure," which recently landed at #2 on the iTunes Christian/Gospel Charts. In addition to his music success and touring around the country, McReynolds continues to make his mark on the gospel music industry and recently launched his very own APP. He's gearing up to release his sophomore album in Sept. and he graduates with a Master's in Applied Biblical Studies from the Moody Bible Institute on May 16th. Three years after launching his singing career, the acclaimed gospel star's fanbase runs global and it continues to grow rapidly (fans include the likes of Grammy award-winning singer India Arie). He recently took time out of his busy schedule to sit down for a candid chat with The Christian Post, in which he discussed The Stellar Awards, ministering with Rev. Billy Graham's daughter at a Louisiana prison and growing up fatherless. The Christian Post: Last month you performed your brand new track "Pressure" at the Stellar Awards – what was a highlight for you? Jonathan McReynolds: Well its always an honor and a scary experience to sing new music … that was probably the second or third time that I ever performed it live but it was amazing that people related to it. Of course I had fun with it. I think it's such a timely and relevant message for where I am in my life right now and I'm just grateful that other people feel the same way. CP: The song talks about peer pressure and defying expectation, what are some pressures that you face as a young Gospel artist? JM: Well, we have plenty of pressures. We have the pressure to succeed to a certain level. You have peers that are doing so well, or some peers that are not doing so well and whether you like it or not you are constantly being compared to them. And of course you have the church pressures ... Gospel artists have to do something that secular artists don't always have to do and that's kind of abide by and reflect a certain set of values and morals. So everything that we do, every decision that we make, every picture that we take has a different weight on it. It's always interesting in balancing being an artist but being a minister as well. And so all of that goes into the song and goes into my mindset while writing that song, so there's tons of external and internal pressures that we deal with but live for God and you'll be alright. CP: The song landed at #2 on iTunes Christian/Gospel Charts. Why do you think the song is resonating with so many people? JM: I hope it's why any other song that I wrote relates to them and that it's transparent, it's genuine, it's an actual experience for Christians. This is not music that I just kind of make up and imagine or fantasize about, its like a diary/journal to music. So I pray that when people hear it, they say at the very least 'man I'm glad that someone else feels that way too. CP: What was is like ministering to inmates Louisiana State Penitentiary in Angola? JM: I went down there with Ruth Graham, whose Billy Graham's daughter, who is an incredible evangelist and an incredible speaker. Her and I clicked so well when we ministered together last year because she's extremely transparent ... I mean she will give it to you the way it is. She doesn't mind using her life as a witness, the good and bad parts, so this was an incredible invitation that I got from her to go down to Angola with her. Then it was an incredible experience to see the transformation that God's presence can have first hand in what people think is the lowest part of society - it was just incredible. The men, you forget that they were convicts, you forget that they were convicted of such crazy crimes because they truly have let God into their lives and they walk with a southern peace and joy and confidence that I admire even being a free person. CP: You were raised by a single Mom and you grew up in the church. How did growing up without a father affect you emotionally? JM: I think for most guys, when we grow up we're trying to establish what being a man means to us and so I think it's pretty helpful and beneficial when there's a role model in the house. But I was grateful to have plenty of role models outside of the house such as my pastor, my uncles, my godparents. My mother is a very churchgoing woman, a biblically minded person. So I was even raised by the characters in the bible as well. So of course it can affect you emotionally but so can a Christian upbringing. CP: What was it like working with acclaimed music producer Warryn Campbell on your lead single "Gotta Have You?" JM: It was incredible, he's a legend, he's absolutely a machine. I didnt know how he was going to do it and he just did it with great ease and quickness. That song, we were able to put it together very quickly. It was the quickest, easiest song I've ever done in my entire life … the process was quicker than any process I've ever had. I've heard many artists say that sometimes the song that takes the littlest amount of time are sometimes the best songs you ever do. It was very fun and a great, creative experience and great to learn from the best. 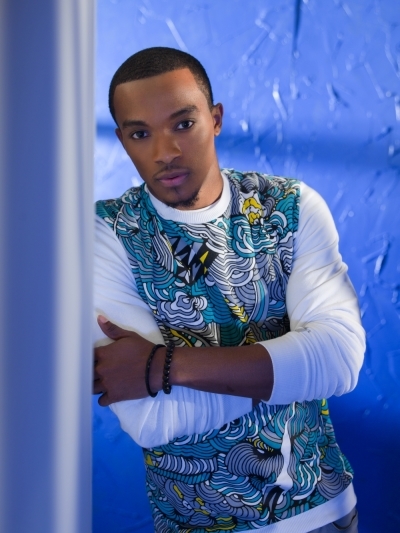 For more information on Jonathan McReynolds CLICK HERE.